Lately, I've been seeing something a rise of off-shoulder looks everywhere and I love it. Last year, it was definitely trending, but now it's back again and stronger than ever. Then, I was only pining after off shoulder looks, but now that it's a bit more popular, there are more choices out there and also lower prices, which is great for if you're not so sure if you're ready to jump in on the trend. 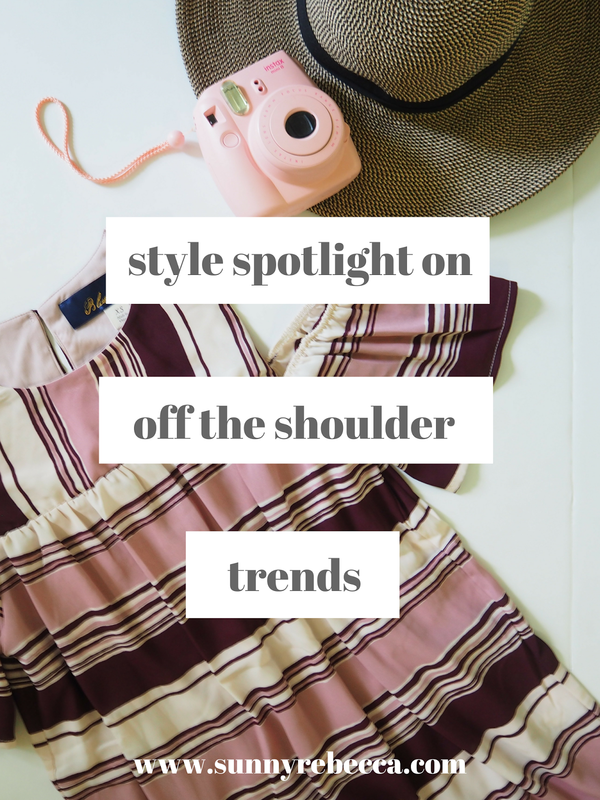 Because of that, I thought that it would put the style spotlight on it, on all things off shoulder, including some of my off shoulder styles, the history behind this look, and where you can get some off shoulder looks to join in on the fun. The off shoulder style, also called a bardot style, was most famously introduced by Brigitte Bardot in the 1960s. However, the idea, like it is now, was not new then either. Even then, it was a revived trend. Since the mid-1800s, off shoulder looks have phased in and out of style. Charles Frederick Worth was an example of a designer in the mid-1800s who designed many dresses with the off shoulder style. Even Napoleon's Empress was wearing Worth's off shoulder dresses. 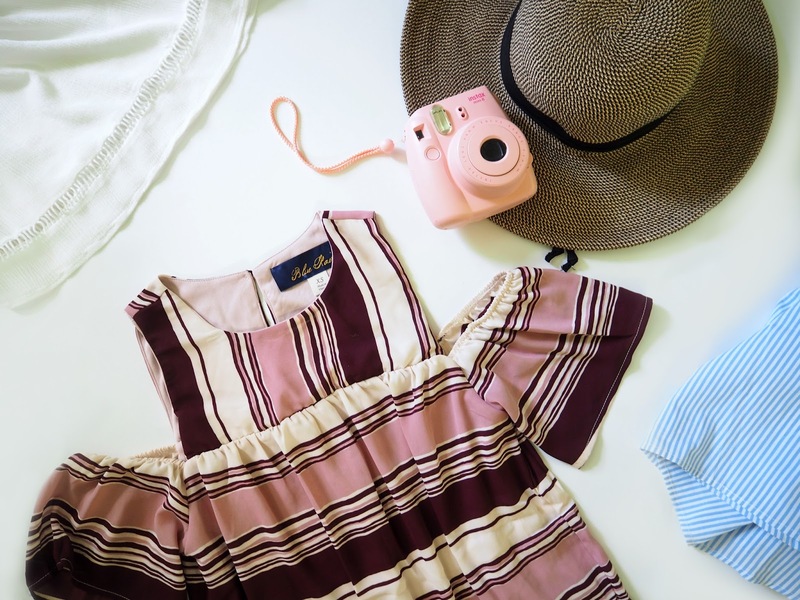 It wasn't until Brigitte Bardot, as aforementioned, brought the style back in the 1960s, creating what is more familiar to us, the bardot style, which is more like the off the shoulder trends we see today. Off shoulder tops are perfect for a dressy casual look. Whether it's a summer party or a sunny photoshoot, a off-shoulder top takes a basic look into a dressy one. I prefer cropped off shoulder tops, but that's just my preference. I loved the pictured one above, it's simple and cute, so it's great for an everyday casual. The trim accessorizes an otherwise simple white top and it's slightly cropped. In addition, this one from Forever 21 is only $16. Now that off shoulder tops are so trendy, you can get all kinds of styles at lower prices. keep it casual and cute with some jeans, I like high-waisted ones with a light-wash, I think that lighter washes are perfect for the summer. If it fits your style, a simple off shoulder top, like a solid one, would look great with ripped jeans. Since off shoulder tops generally have a bit more volume on top, fitted shorts make for a fantastic compliment to the shirt. Ahh, the classic off shoulder shift dress. The off shoulder shift dress is everywhere, but can also come into all kinds of cute patterns. It can be belted, if shift dresses aren't your thing. This dress is perfect for a dressy day look. Any strapless dress presents itself with prime real-estate for necklaces. Since the off shoulder look is the main attraction, pick a simplistic choker in order to compliment the style rather than overpower it. If your off shoulder top is fitted or a bit more simple, dress it up a bit mroe with a tied bandana or a short scarf. I highly recommend a bandana if the off shoulder top does not have much volume on top, basically if there aren't any ruffles, a bandana is perfect. The most comfortable off shoulder look? The winged look. 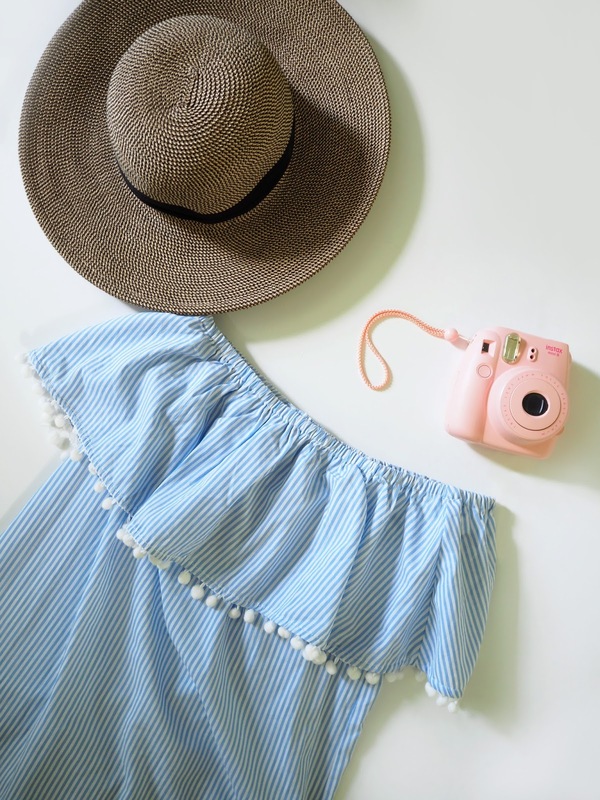 If strapless clothing isn't for you, which I totally understand, as it can get a little uncomfortable, you can still pull off the off shoulder look by wearing styles with a tank top look and then with additional off shoulder sleeves. There are a variety of different sleeved off shoulder looks, this dress pictured above from Francesca's (no longer in stock) has thicker sleeves, but there are also off shoulder styles more like the previous shift dress, with thinner spaghetti straps. I love the suggestion of starting off with cold shoulders if one isn't comfortable in OTS! That's how I warmed up to the OTS trend. I finally bought a OTS top and it's super fun and flirty to wear. 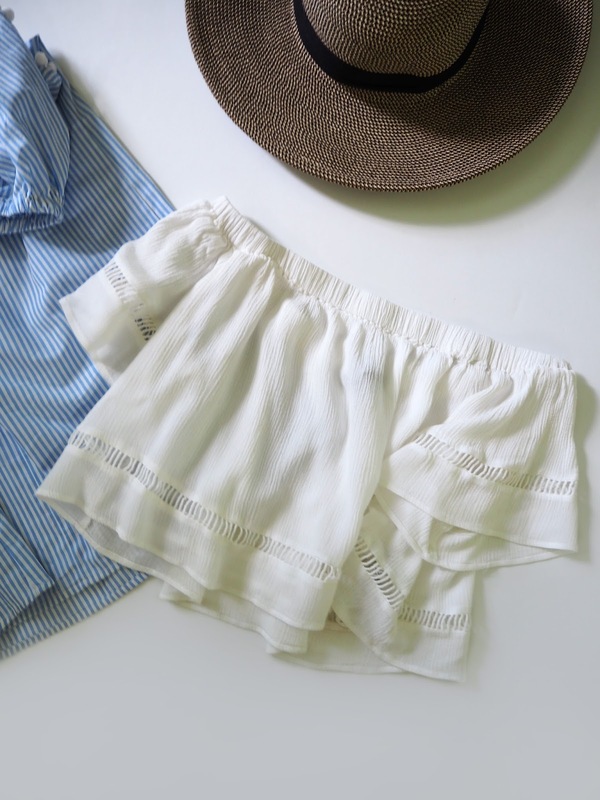 My favorite part is there's an OTS for all occasions, whether it's casual or more dressy.